as of December 1st 2010Drake Insurance and its subsidiaries and affiliates (Including Trusted Choice®, Inc.) respect the privacy rights of individuals who visit and use (“Users”) this Web site (“Site”). Information may be collected from Users during their visits to this Site in order to allow Drake Insurance to provide better service. Drake Insurance is concerned about treating this information with care, so it has implemented the Policy below. Aggregate Information: Drake Insurance collects information that is not personal information about Users to measure traffic on the Site. This information is collected automatically on an aggregate basis (“Aggregate Information”) through the use of a “cookie” or small text file placed on the User’s hard drive by the User’s Internet browser. The cookie allows Drake Insurance to track the number of hits or visits to various pages on the Site. The cookie is used only during a single connection to the Site, and is not used to track User activity after leaving the Site. The cookie is permanently disabled when the User exits the Site, and information about individual Users is not collected, saved or distributed to others by Drake Insurance except as provided for in this Policy. Aggregate Information helps Drake Insurance understand Users’ needs, improve the Site, and demonstrate to others the volume and nature of Site traffic Aggregate Information may be shared with third parties as described in the section called “Information Provided to Third Parties” below. Registration Information:Information may be obtained and/or retained from Users to: 1) process event and course registrations; 2) facilitate participation in Trusted Choice®; 3) facilitate participation in grassroots/legislative activities; and 4) facilitate the use of any fee-based services. Information about Users for event and course registrations may be provided by Drake Insurance to exhibitors, sponsors, attendees and others, in any media, including, electronic or print form. 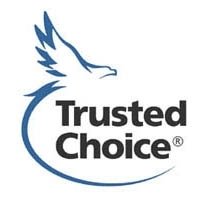 Information for Trusted Choice® may be provided by Drake Insurance to Drake Insurance state associations and company participants and prospects for Trusted Choice®. Registration Information also may be provided to third parties, as described in the section called “Information Provided to Third Parties” below. Products, Services and Survey Information: Information may be obtained and/or retained to process orders for products and/or services offered by Drake Insurance. Drake Insurance also may obtain and/or retain information about Users who participate in surveys conducted by Drake Insurance. Product, Service and Survey Information about Users also may be provided to third parties, as described in the section called “Information Provided to Third Parties” below. Grassroots/Legislative Activities Information: Personal and other information collected from Users for Drake Insurance Grassroots/Legislative Activities may be used by Drake Insurance. Grassroots/Legislative Activities Information about Users also may be provided to third parties, as described in the section called “Information Provided to Third Parties” below. E-mail: Information received from Users via e-mail may be used by Drake Insurance and may be provided to third parties as described in the section called “Information Provided to Third Parties” below. Member Records/Agent Locator Information: Drake Insurance makes member contact information available through its Web site on an Agency Locator for use by the public. Information about members provided to Drake Insurance online or in other forms may be used to update Drake Insurance’s Member Records and/or the Agent Locator. Information collected on this Site will only be provided to third parties in the manner specified in this Policy. Those who do not want their information shared in this manner should not provide the information. Information obtained and/or retained by Drake Insurance may be used by Drake Insurance, and may be provided to third parties, such as, but not limited to, Drake Insurance state associations, to conduct business, including, without limitation: i) completing the transaction(s) requested by the User; and ii) serving Users and/or reporting on transactions/activities/surveys conducted with Drake Insurance. This Site contains links to Internet sites of Drake Insurance members, state associations, and other businesses and resources, and each Internet site may have its own privacy and data collection policies and practices. Drake Insurance is not responsible for the privacy and data collection policies and practices of any of its members, state associations or other businesses and resources, or for the content of their Internet sites. Users interested in the privacy and data collection policies and practices of Drake Insurance members, state associations or other businesses and resources should review the policies of the Internet sites they choose to access. Drake Insurance makes no representations or warranties of any kind, express or implied, about the Internet sites of its members, state associations or other businesses and resources, and Drake Insurance disclaims all warranties and responsibilities of any kind, including, without limitation, warranties and responsibilities with respect to Drake Insurance members’, state associations’, and other businesses’ and resources’ Internet sites, content, privacy and data collection policies and practices, and actions. Links to other Internet sites do not imply Drake Insurance’s endorsement or approval of such Internet sites or the resources and information contained within them, nor are such links or references indications that Drake Insurance has received specific authorization to provide these links or resources. Drake Insurance does not endorse, approve, certify or control such external Internet sites, and is not responsible for the accuracy, timeliness, completeness, efficacy, merchantability, usefulness, fitness for any particular purpose or correct sequencing of information located at such sites. The links and references on this Site to other Internet sites are provided solely as a convenience to Users of this Site. Drake Insurance reserves the right to and may change this Policy at any time and the change will become effective when the revised Policy is posted on this Site.